The French conductor is, of course, no stranger to the city. He spent many years calling it home during his tenure with the Los Angeles Philharmonic, first under Esa-Pekka Salonen as Assistant Conductor and Associate Conductor, and finally under Gustavo Dudamel as the orchestra’s first-ever Resident Conductor. He’s now Music Director of Zurich’s Tonhalle Orchestra since 2012, but returns to Southern California frequently, conducting at the Hollywood Bowl as recently July. This coming weekend, he and Yuja Wang, his frequent partner in crime, join the LA Phil again in a program that includes Debussy’s Prelude to the Afternoon of a Faun, Mozart’s Piano Concerto No. 9 in E-flat major, and the U.S. Premiere of Karawane by Esa-Pekka Salonen. 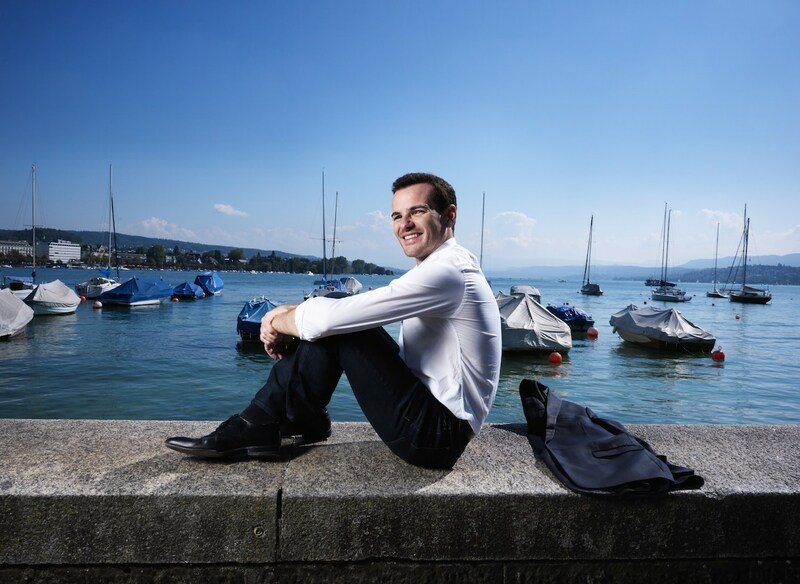 I had the chance to talk to Mr. Bringuier earlier this week about his conducting with the Tonhalle, LA Phil, and other orchestras, and his relationship with both Ms. Wang and Mr. Salonen, before getting into specifics about the works on this week’s programs. No matter what the topic was, he seemed very positive and energetic, yet humble. Even when talking about his many accomplishments, he never was boastful or conceited. Instead, there was an optimism, about music and musicians and the music-making process, that pervaded his attitude. This sensibility combined with the many successful concerts he’s led makes it easy to understand why he’s become so popular with both orchestras and audiences despite still being in his twenties. CK Dexter Haven: How are things going for you in Zurich with the Tonhalle? Lionel Bringuier: It has been going incredibly well. We have had big projects. We just finished recording the full cycle of Ravel orchestral pieces last week to be released in 2016. A very important part of that was to record the piano concerti with Yuja. She’s been a very important part of my first season as Music Director since she’s been Artist in Residence. Another important part was to create with Esa-Pekka Salonen the position of Creative Chair. CKDH: How is it different conducting the Tonhalle compared with the LA Phil? LB: I’m always interested in talking about this. I’ve seen different conductors with different orchestras, and I think the most important thing about working with an orchestra I learned from [Pierre] Boulez. He said, “You know, what is very important when you’re in front of an orchestra is not just to conduct but to listen to what they do.” When he’d work with less experienced conductors, he’d notice that they were too engrossed in the score and trying to be precise, not really listening to the orchestra. When we’re talking about the LA Phil or the Tonhalle is that they’re world-class orchestras and they have personalities, no? The most important thing I do in the first rehearsal is to try to read through the entire piece, the entire symphony, so that you get the feeling of how the orchestra plays, how they respond, then the music making comes very naturally. I’ve been making music with the LA Phil for about nine years. Every time is different. That’s the magic of the music. We know we love making music together, but we approach each piece differently. Sometimes it depends on the repertoire. If you’re rehearsing contemporary music or more romantic music, there is a different theme to work on. Every time is different, even with the same orchestra. CKDH: The LA Phil has a track record of identifying and developing young conducting talent. What is it about this orchestra that makes them so good at that? LB: I think it’s their trust. I’ve always been so thankful for the trust they put in me as a young conductor. I don’t know many orchestras who would hire an unknown French conductor when I was only 20 years old. The focus was always on the music. I never felt that they were judging me. It was so natural. CKDH: Have you ever experienced when you’ve guest conducted an orchestra that they were having a bad reaction to you because you weren’t 70 years old or had grey hair? LB: Very honestly, some orchestras have this reputation. But since [winning] the Besançon Competition at 19, I’ve been conducting very prominent orchestras like the Staatskapelle Dresden, and they were extremely welcoming. I just got my diploma from the conservatoire in June, and then in August I was with them conducting Mozart Horn Concerto, Bizet L’Arlésienne, and Stravinsky’s Firebird. I always had the feeling that if they feel the person in front of them really studied the music and approach it musically, they will respect you. So it’s very important that I make sure I am well prepared, and I take time off from conducting for study and rest. In the past few years I had really great times with many orchestra, like Leipzig [Gewandhaus] or the Cleveland Orchestra. I think what the musicians want is simply to make music. They’re not looking at the age, that’s not the most important [thing]. It’s how we will rehearse and then what happens in the concert, the quality of the music in concert. CKDH: Talking about this week’s concerts, let’s start with Yuja. She has said that you’ve known each other since you’ve been teenagers, and obviously you’ve worked with each other very closely both here and in Zurich, and you’ve recorded with her. Tell me something about her that everybody should know that we wouldn’t get seeing her on stage or hearing her recordings. LB: I think why we love so much to play together is we have a mutual respect for each other. You know, last season we calculated, and I played more than 30 concerts just with her. And at the end of the last concert, we were almost crying. It was in Sydney, Australia, where she played an amazing Brahms 2nd Piano Concerto. During the whole Tonhalle season and on tour which was extremely successful, I was so impressed with her. And not only me, the orchestra in Zurich too. It was extremely dense: we had eight concerts in nine days all over Europe and she played every night, either Rachminoff 3rd Piano Concerto or Prokofiev 2nd which are both extremely hard. She was always perfect with technique, but also the interpretation she gave us was always different. The recordings of the Ravel concertos went so fast because we got to know each other so well. It’s always pure joy to play together, but also to approach different repertoire together; we’ve had Brahms, Ravel, Rachmaninoff, and Prokofiev, and now we have Mozart this week. CKDH: She’s known for those bigger works by romantic composers. Mozart is very different. What should we expect? LB: I haven’t heard her yet, but I’m sure she’ll be amazing. CKDH: Also on the program this weekend is Debussy. You conducted La mer the last time you were here, and some people might assume that just because you’re French that you have a special affinity for French composers like Debussy, Ravel, Bizet, or Boulez. Do you? LB: In fact, that’s interesting. During my studies, we approached all the repertoire. At 14 I was doing Beethoven 7th Symphony, I conducted Schoenberg’s Pierrot Lunaire when I was 16, all this various repertoire basically. French music was not played more than other repertoire. It was played, of course, but for me, it was very important to learn as much repertoire as possible and not try to specialize or play the same repertoire because there is so much amazing music. I love to play Russian music, I love Brahms. It’s special to play Brahms in Zurich. CKDH: Do you listen to other genres of music besides classical? LB: Yes, I do, but not so often. If I am in a bar or out with some friends and it is on, I enjoy listening to other types of music, like popular or Jazz, but I don’t have a specific type. CKDH: Maybe some hip-hop like 50 Cent or Kanye West on the side? LB: Uh, well . . . [laughs] . . . You know, one of the things I liked about being in Los Angeles was seeing all the different kinds of music at the Hollywood Bowl. CKDH: I’ve saved the best for last, at least in my mind. Let’s talk about Esa-Pekka’s new piece, Karawane. You’ve already had the privilege to conduct the world premiere, so tell me about the piece and conducting it. LB: This is absolutely unique. I’ve always been interested in contemporary music, but in the case of Esa-Pekka, it’s special because I know him very well. I’ve spent so many years watching him conduct with the LA Phil. 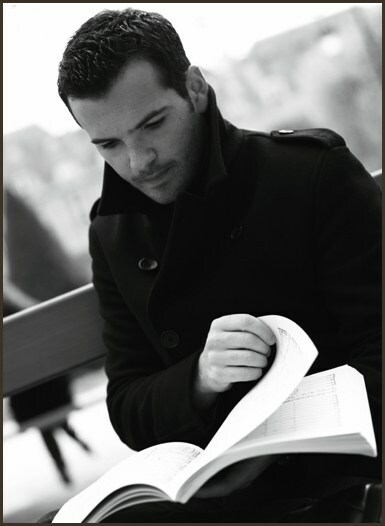 I’ve been backstage watching him studying scores or out having coffee. I just had lunch with him recently. This is the relationship I still have with Esa-Pekka. This makes me very happy because I keep learning from him. I’m so proud that he thought I could do the world premiere of Karawane. It’s a great honor. The biggest reward was that he seemed quite happy with the premiere. It’s also a privilege for me now to bring it to LA because the city is so connected to him and him to LA. I’ve attended the premiere of so many of his pieces here. I’ll never forget that the whole team for Los Angeles – Deborah Borda, Chad Smith, Frank Gehry, Gustavo Dudamel – came for the world premiere of Karawane. I was so happy to have my LA Phil family coming to Zurich attending this first concert. We had a big celebration afterwards. CKDH: How is Karawane similar or different than all of his other pieces that we’ve heard in LA already? 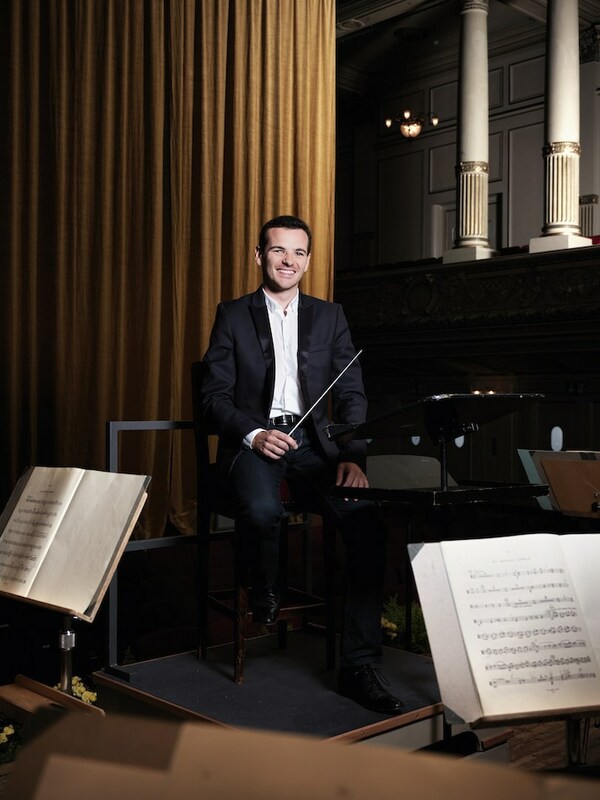 LB: What I like about Esa-Pekka’s music is that we can all sense that he is one of the best conductors on the planet. His music is always demanding, but it’s always playable. Sometimes you work with other composer’s music and it is simply not playable. So much of his music was written while he was leading this orchestra, and so much of it has been premiered by the LA Phil, so probably they’re in his mind. That’s why this will be so special that they play this new piece. I’m sure the musicians will immediately recognize the style. He has such a great style. It shares some of the same orchestration as many of his other pieces . . .
CKDH: He seems to like contrabass clarinet, and it’s in here too. LB: [Laughing] Yes, it is. Also the drum set from the Violin Concerto. Because Karawane is in two parts, it reminds me of all the pieces associated with Ballet Russes for which he’s known so well, like The Rite of Spring or Daphnis and Chloe. Without going into too much analysis, I think the audience will feel a lot of accelerando, then the structure starts again from lento to accelerando presto. The result was really good. One of the things I always remember when I was first Assistant Conductor here: one of the concerts was Stravinsky Symphony in Three Movements, Dutielleux Cello Concerto, and Bartok Music for Strings, Percussion, and Celesta. This was such a difficult program, and it just seemed so easy for this orchestra. And all three concerts were sold out. It was a testament to what he was able to achieve during his 17 years as Music Director, to build a program like this, have the musicians be completely at ease with the repertoire, and sell it out. Absolutely amazing. Tags: Debussy, Esa-Pekka Salonen, Lionel Bringuier, Mozart, Tonhalle Orchestra, Yuja Wang. Bookmark the permalink.